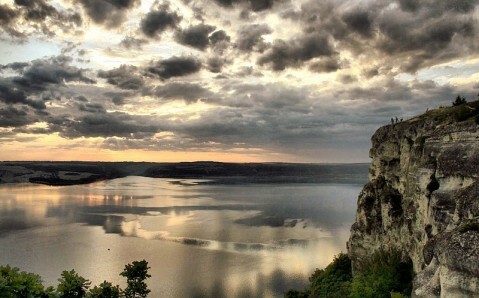 The National Environmental Park “Podilski Tovtry” is situated in Khmelnytsky region not far from well-known Kamianets-Podilskyi. It is one of the country’s most attractive corners, which is famous for its fabulously beautiful landscapes. 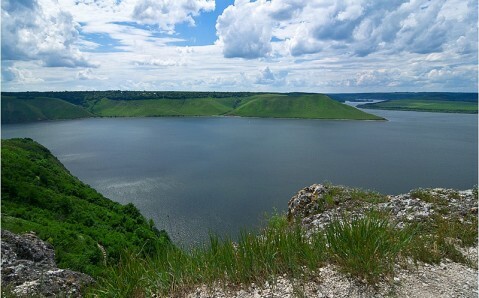 This unique reserve has long acquired and secured the status of one of the Seven Wonders of Ukraine. 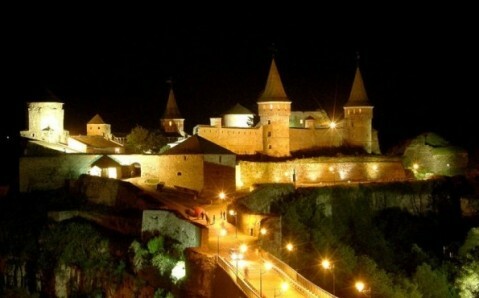 This status is guaranteed by amazing combination of inimitable nature and rare historical monuments. Park’s main fascination is picturesque Tovtry – a chain of peculiarly shaped hills covered with velvet verdure. They tower above blue surface of the powerful Dniester River like waves. Tovtry are a truly beautiful phenomenon. It is the only mountain ridge in the world that was formed not as a result of tectonic processes, but as a result of vital activity of living organisms. Its formation occurred along the coastal line of the ancient ocean about 20 million years ago. Over time the algae and mollusks that lived in the ocean turned into limestone ridges, which now rise up above the water surface for more than 400 meters. Podilski Tovtry’s geological structure has no analogues in the world. 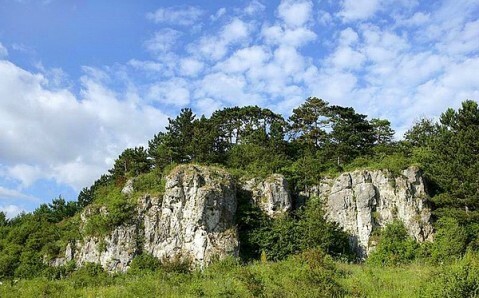 Somewhat similar rocky hills can be found only in Great Britain and in America. Park’s natural gems include numerous caves. The most famous one is Atlantis. It is located not far from Zavalne village. 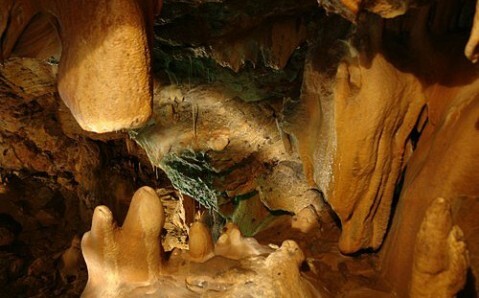 This two-kilometer-long underground labyrinth with three tiers is famous for amazingly beautiful crystals and “stone flowers” that grow there. Another noteworthy cave is situated nearby. It is 250-meter-long Mala Kyianka. 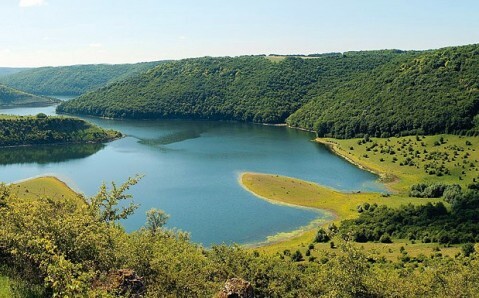 However, the most magnetic place in “Podilski Tovtry” is the picturesque Bakotska Valley. It has got its name from Bakota village, which was flooded together with its neighboring settlements during hydropower plant construction, in the late 20th century. 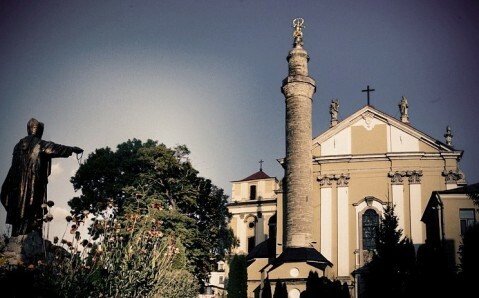 One of environmental park’s main historical sights – the ancient cave monastery, which is considered to be the first Christian center of the Kyivan Rus – is situated there. 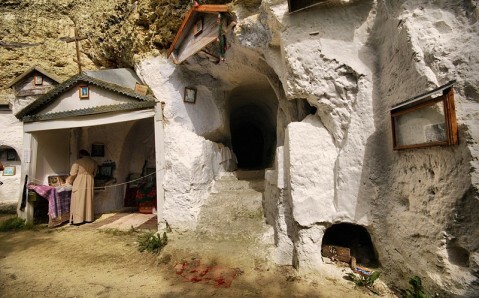 Several hand-made caves, which were used as cells by monks, praying and burial places survived on the 120-meter-high rock until now. The Bakotska Valley is an ideal place for beach recreation in summer: it is very warm there, the water is clean and the pebble beach is at visitors’ disposal. Thanks to the large reserve of natural mineral waters, “Podilski Tovtry” is also a great place for health-improvement. Environmental Park offers various tourist routes: hiking, horseback riding, boating, driving or cycling. One of the most interesting routes is a hike from the Verbka village to Karmalyukova Mountain, passing Verbetska Tovtra. Many people come to the nature reserve to practice hang gliding and paragliding, to sail a yacht and to go boating, as well as to fish. Getting there. It depends on what do you want to see and do in the park. 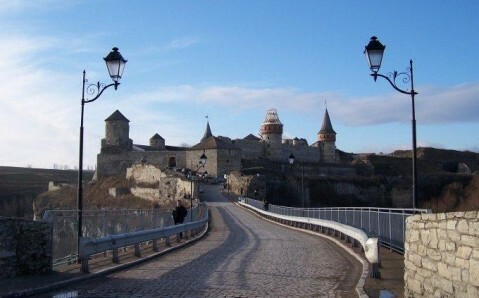 In any case, the most convenient way is to take a bus from the Kamianets-Podilskyi bus terminal to, for example, Stara Ushitsa village, and then walk from there to Bakota.